As I teased last week on the Toys For Games ‘cast, there was another premium Disney Infinity figure yet to be revealed. This figure, however, was already scrapped prior to the Disney Infinity cancellation. 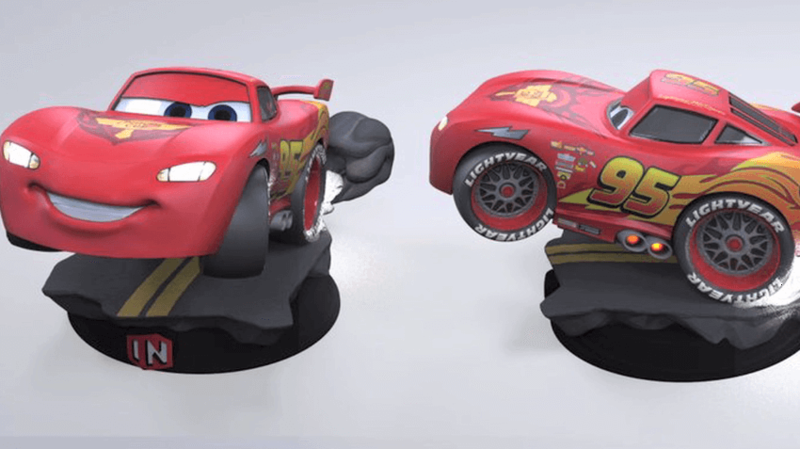 Thanks to Infiniteer Adventures, we still get to see the concept art for the once planned figure of Lightning McQueen!. We’ve had looks at the official designs for Hulk, Jack Skellington, Hulkbuster, Darth Vader, Elsa, and Buzz Lightyear. Those were all set for release, with an estimated price of upwards of $45. Each figure reaching up to 12 inches tall and have various aspects of their design glow. Each figure also would give a refresh of moves and animations in the game, making them more unique. Last week, I brought you an exclusive look at some of those game moves. The team initially planned on releasing a new premium Lightning McQueen figure, but it was scrapped before they finalized the plans. Perhaps they couldn’t find a way to make Lightning McQueen more unique in-game? Or perhaps wanted to keep the number of figures at six, as a Yoda figure was also dropped. Having the headlights light up, the exhaust pipe glow, and possibly more areas would have been incredible to see. Check out the video below from Infiniteer Adventures to get the full look!